7621 Pécs, Tímár u. 4/a. In the historical centre of Pécs, at the most frequently visited place we are awaiting our guests with comfortable accommodation for 45 persons. 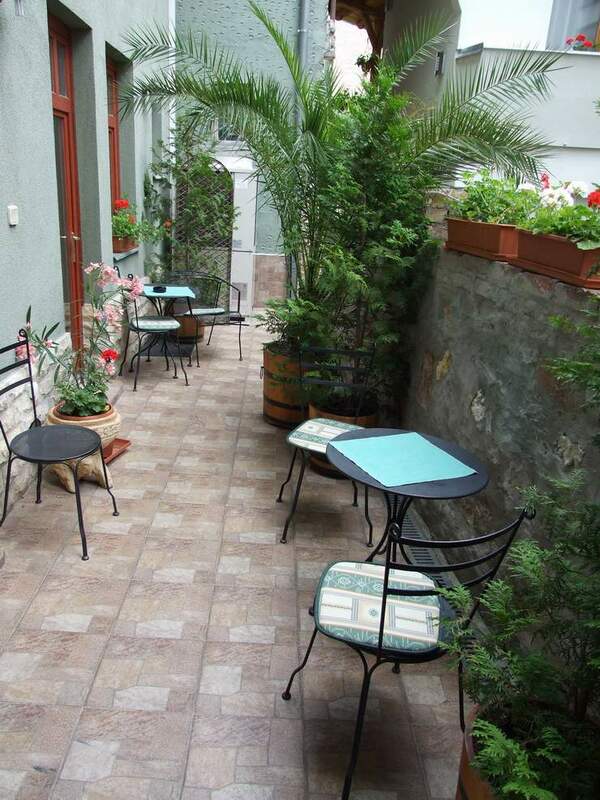 In our family atmosphere hotel there are 20 rooms (single-, double-, triple- and quadruple bedrooms) and two apartments. In our dining room our guests can have free breakfast (self-service or à la carte). The prices contain a continental breakfast. The price includes the use of air contitioning. In case of payment in cash the price is reduced by 1000 HUF. The prices does not include the tourist tax: 400 HUF/night/adult. Comfortable Hotel,nice breakfast area. I'll be back. Location of property is great, and it is very quaint, large rooms. Very kind and helpful staff. Air conditioning in room. Varied breakfast. Parking on site which is unusual for a hotel at the centre of an old town. The young man at the front desk took care of all our crazy requests. We wanted to wash some clothes and he brought us a plastic bathtub that fit well into the shower stall. Breakfast was fine, healthy and plentiful. ©2016 Hotel Diána, Ri-Kó Pécs Kft.